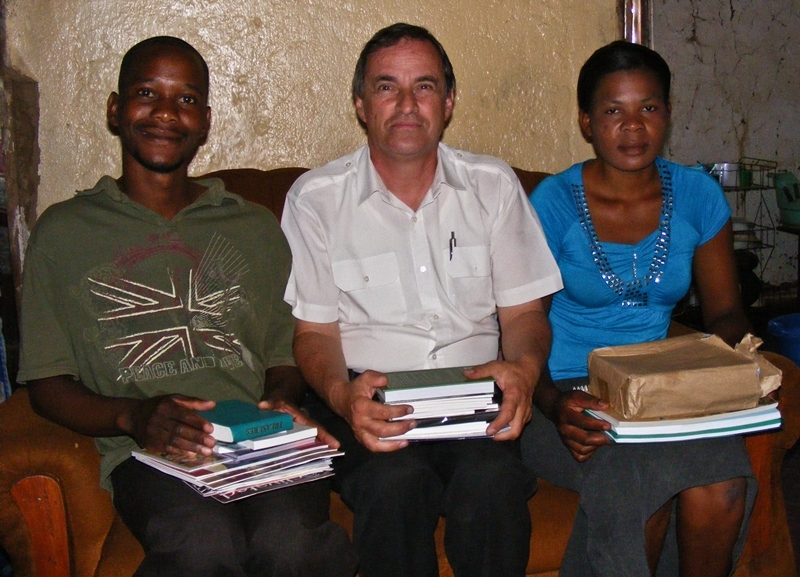 Josef and Talitha Bitschnau from Family Care Ministries in Johannesburg had been training some dedicated men from Malawi, and the time had come to use their training to reach out to their own people with the love of Christ, teach them the word of God as well as set up some volunteer and community projects. To facilitate this, Family Care Ministries was planning to open mission centers in Blantyre, Lilongwe and Mzuzu, the three main cities in Malawi. Activated Ministries had sponsored beautiful Christian materials for previous trips of Project Cartwheel to Botswana and Zambia, and again for this trip they agreed to assist us with four boxes full of inspirational and faith-building books, enough to set up the mission centers with Christian teaching materials for adults and children. We set off with three new missionaries, our truck packed to the brim, covering 6000 km, crossing 6 borders, visiting 3 cities in Malawi. Malawi is called “The warm heart of Africa” because of the warmth and friendliness of the Malawian people. It is land-locked, and with a population of over 14 million people it is one of the most densely populated and least developed countries in the world. During our trip we stayed with Malawian families most of the time, which helped us to understand their culture and challenges so much better. In spite of their hardships we were welcomed with so much hospitality, which made us feel humbled and grateful for this wonderful opportunity. Blantyre: Blantyre was our first stop after passing through Zimbabwe and Mozambique. This is where Frank, one of our Malawian missionaries, is setting up his base. Josef from Family Care Ministries has outreach projects in Soweto and other townships around Johannesburg. Frank was one of his Bible students. He lived in Soweto for 10 years. Whatever spare time he had he would use to go into hospitals to pray for the sick and encourage people. With the help of Family Care he is renting a small house in a densely-populated part of Blantyre. He started a hospital and orphan ministry, and has many open doors to share the love of Jesus with his fellow country-men. Thanks to Activated Ministries we were able to leave him with a big stack of Bible teaching aids and children’s educational materials to help him get started in his ministry. 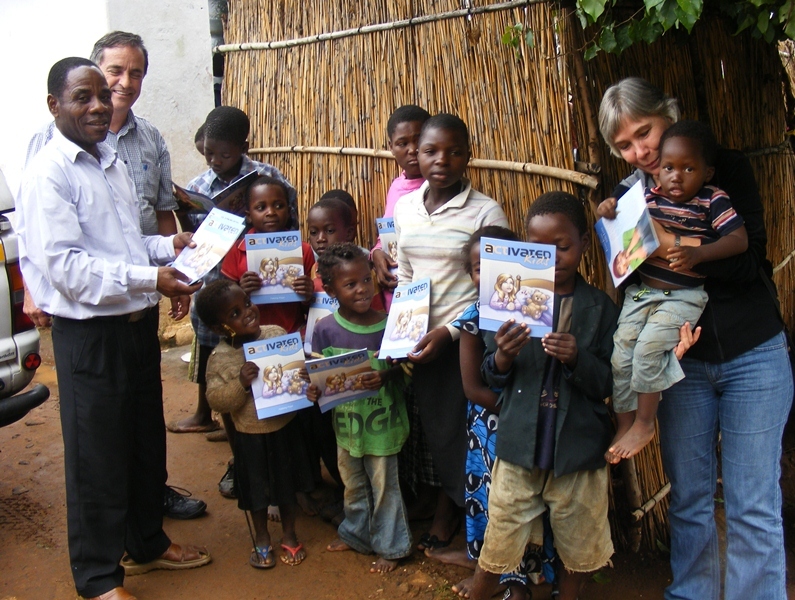 Also in Blantyre we visited a pre-school and orphan care facility in a very poor area. Other than a scratched-up blackboard and a few posters on the wall they had no materials at all to teach the kids, not even paper and crayons. 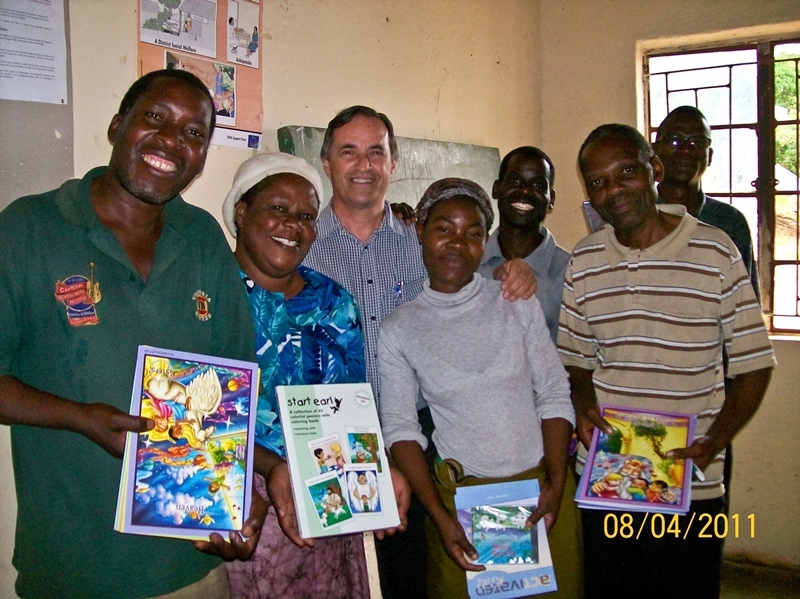 We were able to leave them with the STEPS Program curriculum and other Christian teaching aids, for which they were so thankful. Because of poverty in Malawi, books are almost a luxury. Since it was the beginning of school holidays we suggested to the teachers that they each take some books home with them to familiarize themselves with the material. 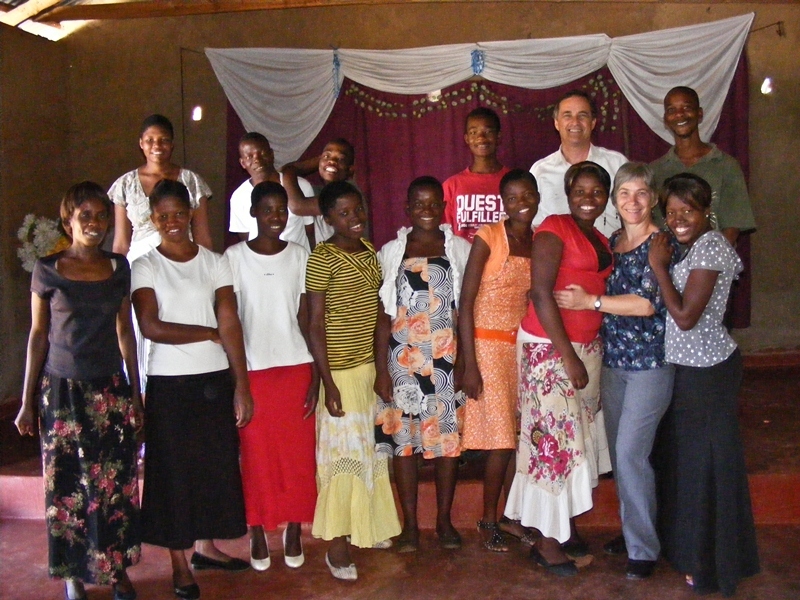 They were so thankful and thrilled, and are sending a grateful smile and big thank you to Activated Ministries. Lilongwe: Traveling from one city to the next in Malawi was a pleasure as it is an amazingly beautiful country with rolling hills, neat villages and happy people everywhere. But it is equally painful to see the poverty these dear people are confronted with. Owen, a young Family Care missionary, who traveled with us, is establishing a small IT center where he can teach underprivileged youth computer skills, and at the same time use the facility to teach Bible classes. He gets a small stipend from Family Care to be able to rent a facility, and we left him with a box of Christian teaching materials for children and adults, as well as Bibles to help him get started in his ministry. Laurence worked in South Africa for 8 months, during which time he met the Family Care team and helped out at the Activated Library in Soweto, a place for reading God’s Word and quiet meditation for people in the townships who live in very crowded conditions. Laurence took the idea of having an Activated Club back to Malawi. 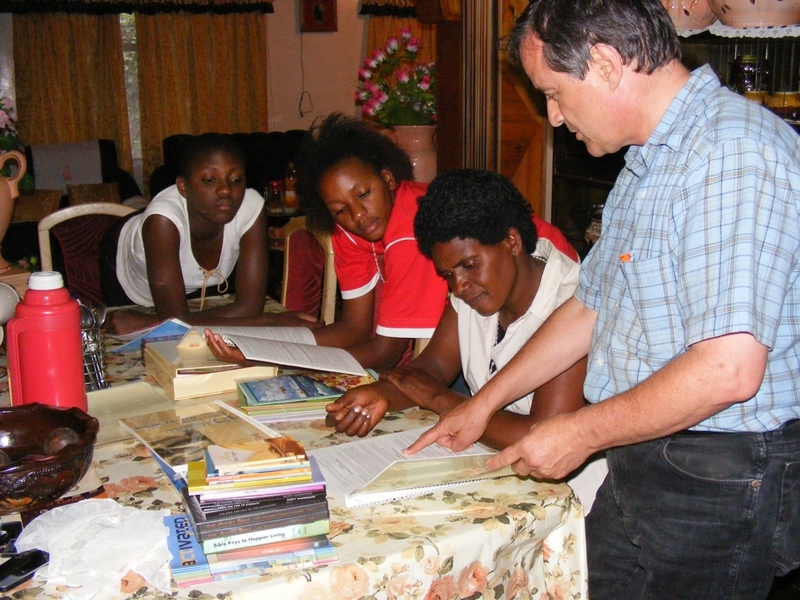 He now has a group of youth who are eager to learn more about being an active Christian. They formed an amazingly talented choir and band, and had just recorded some of their own music and popular hymns. Owen was very well received by the young people of the ‘Activated Youth Club’. Along with Laurence he will start teaching the 12 Foundation Stones Bible course, which covers the basics of what believers need to be grounded in the principles of the Christian faith. 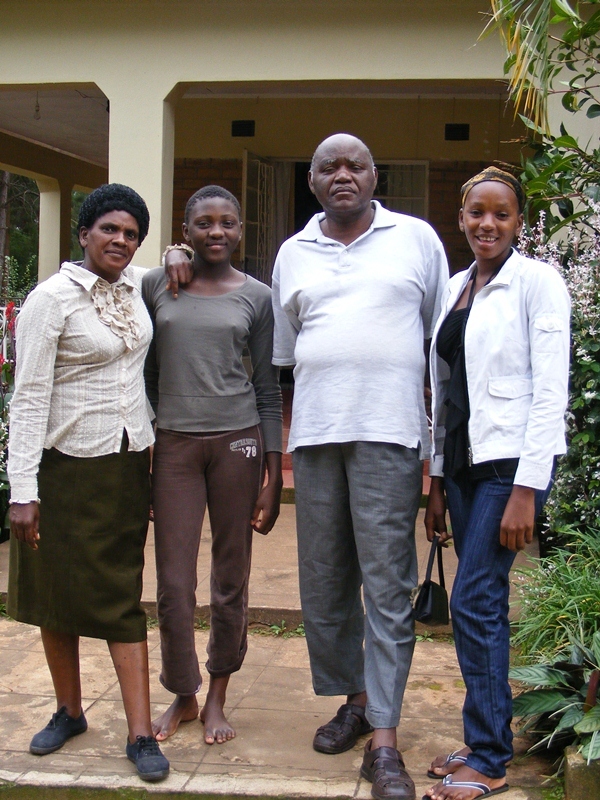 Laurence and his wife Nangiwe hosted us in their simple house during our stay there, and took such good care of us. We were happy that we were able to bless them, thanks to Activated Ministries, some of the beautiful sponsored books for their youth ministry. Mzuzu: Mzuzu is the furthest north we made it on this trip. It’s a small city about 50 km from Lake Malawi. Our friend Gracious traveled with us from South Africa to his home town of Mzuzu. Through him and the conversations we had with many of his friends and relatives we got a good insight of what life is like in Malawi. When Gracious was younger, his parents could not afford the school fees, but he was determined to get an education. He would get up very early in the morning to cut down trees in the forest to make charcoal, which he sold on the side of the road. It was very hard work, but he persisted. Now he is determined to start a Christian leadership school in Mzuzu in the beginning of next year. He returned with us to South Africa where he is teaching the 12 Foundation Stones Bible course to fellow Malawians to train teachers and missionaries for his outreach ministries in the Northern Province of Malawi. It was such a privilege to have this dedicated young man on our team, and we know for sure that he will use all the books we left with him to instruct people in the Word of God. Gracious’ uncle Davis and aunt Flora put us up for four days. When we showed Flora and her daughter Cheruzgo, who both are teachers, the Foundations of Faith and the Character Building sets of the STEPS Program, they were so excited and said that they have never seen such a beautiful and well-planned curriculum. It seems the poorer people are in material things, the greater their spiritual hunger is. From border guards to police men, from sellers at the market to pastors of churches, from old to young, they all gladly received tracts, Activated magazines and New Testaments from us. 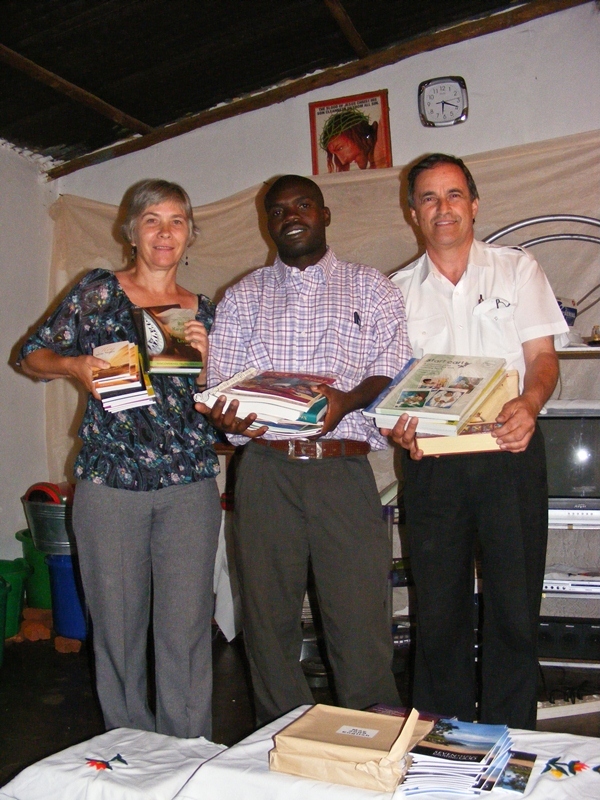 Thank you to Activated Ministries, who once again made it possible for us to freely share God’s word with all we met.